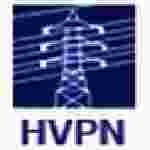 HVPNL Assistant Engineer recruitment 2016-17 notification apply online : Haryana Vidyut Prasarn nigam limited (HVPNL) welcomes application for the position of Assistant Engineer / Electrical and Assistant Engineer / Civil through GATE 2017 in Haryana power generation corporation limited (HPGCL) / Haryana Vidyut Prasarn Nigam limited (HVPNL), Uttar Haryana Bijli Vitran nigam limited and Dakshin Haryana Bijli Vikram Nigam limited.Candidates who completed their Degree in engineering is a good opportunity.The individuals who are the occupation seekers searching for govt employments in Haryana this is the best chance to apply. Competitors read the official notification then read all the guidelines and miners precisely then apply before the last date online application got. All the interested and eligible candidates can apply online before 4th October 2016. Candidates Age Limit: The age of the candidate should not be less than 21 years and should not be more than 42 years. Academic qualification details: Candidates should have full time bachelor degree in electrical / electrical and electronics / computer science / information technology / civil / mechanical / instrumentation / electronics / electronics and communication / electronics and telecommunication / electronics and electrical communication engineering from a university duly recognized by Central government or a state government with a minimum 60% marks in respect of general category and other category candidates and 55% marks in respect of Schedule caste categories candidates of Haryana Domicile. Official website: All the interested and eligible candidates can apply online through official website of Haryana Vidyut Prasaran Nigam limited (HVPNL) www.gate.ernet.in from 1st September 2016 to 4th October 2016. Important Dates: Starting date for the submission of online application is 1st September 2016. Last date for the submission of online application is 4th October 2016.